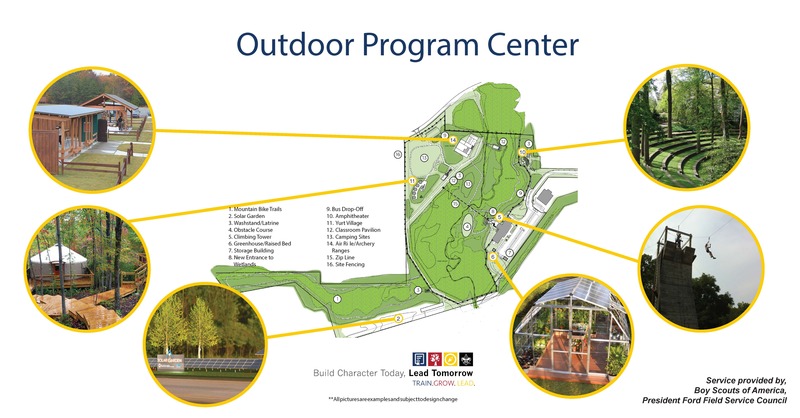 A boardwalk off the back of the building that includes indoor and outdoor instructional learning areas and a zipline that leads to the outdoor climbing wall. A mobile design that will convert from any size learning space to unique event spaces while also including an indoor climbing wall. A large front porch with multiple entry points, a Scout Shop with a storefront, and outdoor gathering areas for Scouts.